In Michigan we are building the leaders of tomorrow. Through Scouting’s programs and adventures, we inspire lives of leadership, character, and service. Your investment helps support our movement that instills intelligence and confidence in those who may find themselves without the knowledge or tools to successfully stride toward a promising future. As we pass the torch of the future, it is only right that we provide the skills not just to succeed but to excel. 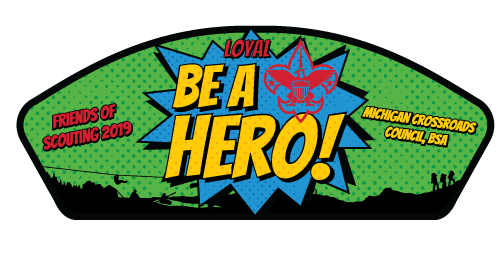 Receive a 2019 Friends of Scouting “Be A Hero” Council Shoulder Patch with your gift of $225 to support one Scout for a year of programming. Did you know — You can support #MichiganScouting while shopping at Amazon? In fact, it’s easy to support the Michigan Crossroads Council when you shop at https://smile.amazon.com. 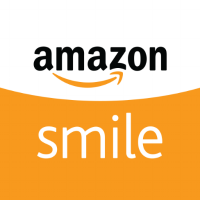 Be sure to select or search for Michigan Crossroads Council as your Amazon Smile Charity.